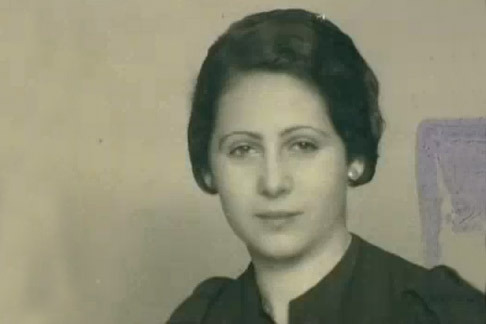 Born Jewish in Vienna in 1914, Edith Hahn was an outspoken young woman studying law in Vienna when the Gestapo first forced her and her mother into the Jewish ghetto, and then deported them to a labor camp. Arriving in Munich with a Christina woman’s identity papers, Edith became what was known as a “U-boat”—a fugitive hiding in plain sight in Nazi Germany. Marrying a Nazi party member, Edith survived the war, even having a child with her husband—her daughter being the only known Jewish girl to be born in a Nazi Hospital. Edith and her daughter survived the war, though Edith kept her secret for nearly half a century, deceiving even her children. Based on the book written by her daughter, The Nazi Officer’s Wife explores issues of faith, family, and identity in a complex portrait of a woman who buried her true self to survive. The Nazi Officer’s Wife premiered on A&E Networks June 2003.